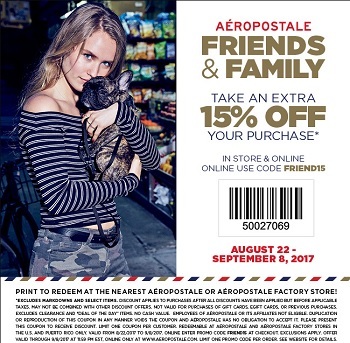 Here we come with information about Friends & Family Sale which is now available at U.S. Aéropostale store locations and U.S. Aéropostale online. Take an extra 15% off your entire purchase. 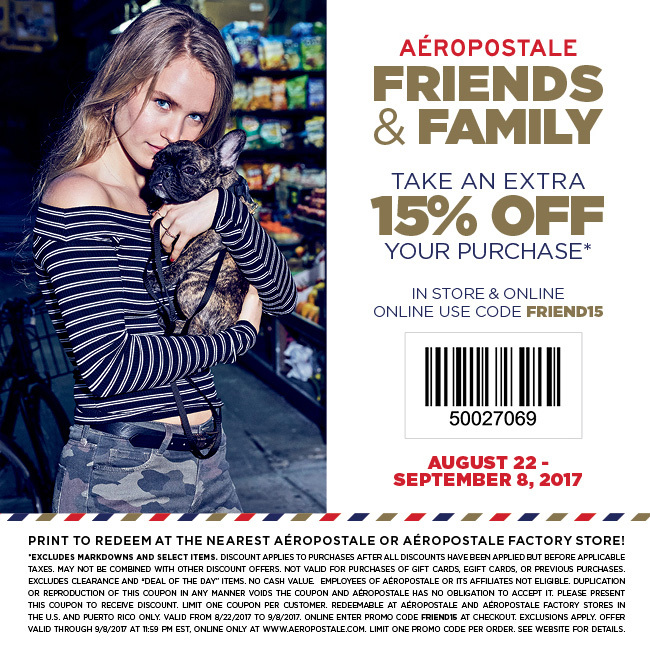 In-store: use Aéropostale printable coupon to receive the offer. Online: use the promotion code FRIEND15 at checkout to receive the offer. Offer is valid until September 8, 2017. For more details about the offer visit any U.S. Aéropostale store location or Aéropostale online.